Welcome to Fox Hill Elementary School » » Recently at Fox Hill . 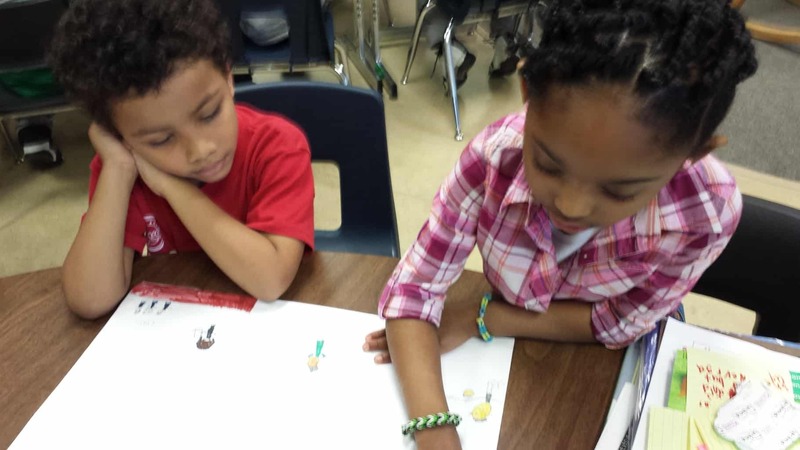 . .
Students in Ms. Weldon’s third grade class have been studying geography. During the study of rivers, they discussed where floods would be most likely to occur. Students learning about the recent flooding in Louisiana and decided to take ACTION! They collected clothes, shoes, canned goods and school supplied for flood victims. Some of the students had relatives affected by the flooding in Baton Rouge! Their generous donations are on their way to the devastated area. Fox Hill’s Fourth and Fifth graders are being introduced to the Learning Management System, Canvas which is being used extensively in the district’s middle schools and high schools. In the Media Center, they have been taking a reading survey to share their interests and the types of books they enjoy reading! On Monday, March 14th, all Compass Classes (Grades 3, 4 and 5), under the direction Mrs. Feliciano, celebrated Pi Day! Congratulations to Charlotte Parish who won the Art Award and to Addy Winter who won the Recitation Award by quoting an astonishing 149 digits of pi! This afternoon some of our 1st and 2nd grade students were visited by Dewey McDonald from The Indianapolis Colts! A huge thanks to #31 for coming and reading to our students, and for all the fun gifts! The students chose a state in the Midwest to research so they could make their “brochures.” The students who are working together had the same state so it was a great way for them to research together and find the information they were looking for–physical features, climate, natural resources, etc. We have some awesome 1st grade teachers, and apparently they are also Superheroes! Today they dressed up as Superheroes to start their “Who We Are” IB Unit. They will be challenging the students to define what makes a person a hero. One of the books they will explore is “Fireboat: The Heroic Adventures of the John J. Harvey”. This Fireboat saved many people in Manhattan on September 11th. 5th grade Compass class created stop motion animation videos in art class to demonstrate conflict and resolutions. Students were asked to work in small groups and use common objects that would be in the art room for their characters. The students did a great job! Fox Hill First Graders recently researched countries around the world. Miss Haines’ Class shared what they had learned with the Kindergarten students from Mrs. Peterson’s Class!